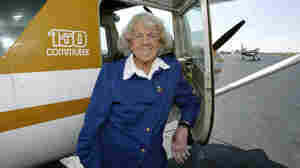 May 11, 2012  Evelyn Bryan Johnson, a record-setting pilot who was born just six years after the Wright brothers made their historic flight, has died at the age of 103. 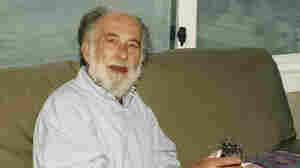 April 9, 2012  Jack Tramiel, the man behind the Commodore 64 computer, died Sunday, according to reports. Tramiel, who was 83, came to America after World War II. He was a survivor of the Auschwitz concentration camp in his native Poland. December 7, 2011  Frank Curre, a Navy veteran who survived the 1941 attack on Pearl Harbor, has died at the age of 88. According to his family, Curre died around noon on Dec. 7, 70 years after the attack. Curre's story of that horrible day was featured in NPR's Veteran's Day coverage last month. December 3, 2011  "Robert Spiegel of Kensington was born in Brooklyn, NY on May 2, 1934, lived and subsequently died. Most of his noteworthy accomplishments happened in said middle part," the tribute begins. Civil rights leaders Rev. Martin Luther King Jr., left, Rev. Fred Shuttlesworth, center, and Rev. 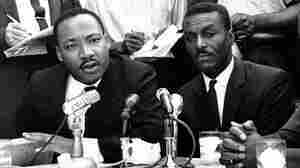 Ralph Abernathy hold a news conference in Birmingham, Ala., in this May 8, 1963 file photo. Shuttlesworth, who was hailed by the Rev. Martin Luther King Jr. for his courage and energy, died Wednesday, Oct. 5. October 5, 2011  Civil rights leader Rev. Fred Shuttlesworth has died, according to reports. He was 89. In the 1950s, his activism resulted in beatings and attempts on his life in Birmingham,, where he established the Alabama Christian Movement for Human Rights in 1956. May 23, 2011  It's not a story infrequently told, but it never fails to catch my eye: the trials and tribulations of working the obituary beat. Susan McCarty writes about working the death desk at a regional paper in Iowa.